The Ditch has a cast of two – just two, no extras, no walk-on parts, no ‘man at bus stop’, no celebrity cameos. The whole story is carried by these two people, the woman who play Donna and Nina. Donna is the film’s centre; she’s in almost every shot, and the entire emotional and narrative drive of the story runs through her. When we were casting it, we were looking for someone who could really live in the part, who could enter Donna’s soul and experience all the facets of her character as if they were her own. We’ve been really fortunate to find Katie Pattinson (left) to play Donna. 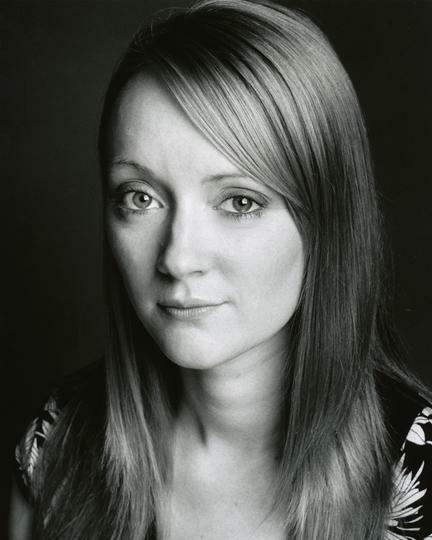 Katie has a wide experience of theatrical performance across the UK, both in the West End and in regional venues. Her stage credits include a national tour of ‘Jane Eyre’, a European tour of ‘Romeo and Juliet’ and appearances in ‘All My Sons’, ‘The Tempest’ and ‘‘Mandragora King of India’. She played Blanche Dubois in the American Drama Group Europe’s production of ‘A Streetcar Named Desire’, which toured in Europe and Asia, even going as far north as the Arctic Circle. Katie has also appeared several times on film. She worked with Peter Hewitt (The Borrowers) in the 2002 feature film Thunderpants, and has been in the short films Collapsed, In the Name of Security and The Language of Love. She is a highly accomplished musician, playing three instruments (if we can somehow work that into the film, we will), and can be seen here exercising her puppetry skills in ‘The Lonely One Show’ at the Little Angel Theatre, Islington, London (and if we can work puppetry into the film we deserve a medal…). The other woman in the film is Nina. We haven’t said much about Nina in our publicity about the film so far, but if you’ve been reading the posts you’ll have guessed she’s the woman who gets knocked down by Donna’s car. Nina is something of an enigma – even those of us who wrote the story don’t know much about her. Is she a child, or a woman? Is she known to Donna, or a stranger? Is she real, a figment of Donna’s imagination, or a spirit from a supernatural world? Is she all these things and more? Whatever the answer, we were looking for someone with striking features to play Nina, someone who could portray a woman who was vulnerable, childlike and fragile at one moment, but ruthless, fearsome and powerful at another. We had such a specific look in mind that it was difficult to find anyone who quite fit the part (although we did audition many excellent actresses, most of whom would have deserved to be cast in another role if we’d had one available). Then Sheena remembered Lucy Wilkins (right), whom she’d worked with before on her short film Roseberry Road. Lucy is from Yorkshire, and still lives there – so we’re going to have to fly, bus or carry her down to Surrey from her home – but within a day of being approached she’d whipped up a video audition for us and, as we’d hoped, she was perfect. Lucy, as well as being an actor, is also a writer and producer herself. She wrote and produced the film A Local Desperado, an historical drama based on events in her own family, which is currently in production. She has been seen on screen in the zombie comedy feature film Harold’s Going Stiff, as well as many short films in the past five years. 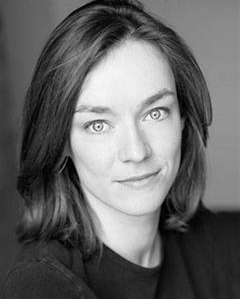 On stage her credits include ‘Richard II’ at Wakefield Little Theatre and ‘Blackadder Goes Forth’ for the Lamproom Theatre Company. Two women. One ditch. Ten minutes. No prisoners.